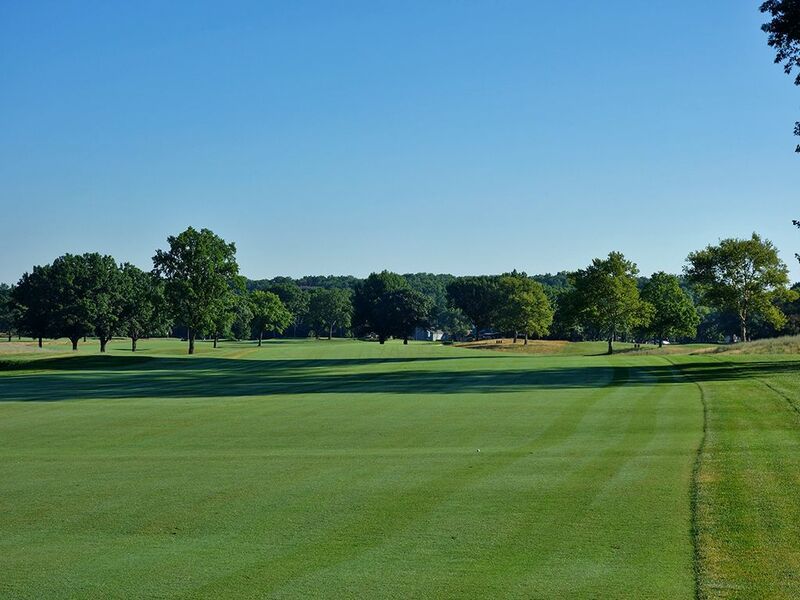 Course Website: Official Website - Visit Moraine Country Club's official website by clicking on the link provided. 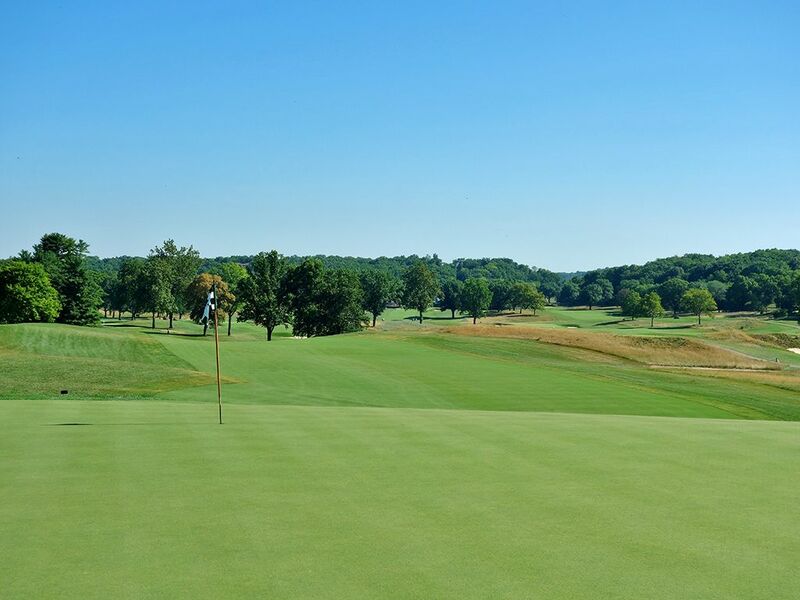 Accolades: Ranked 8th in Ohio on Golf Course Gurus' Best in State list. 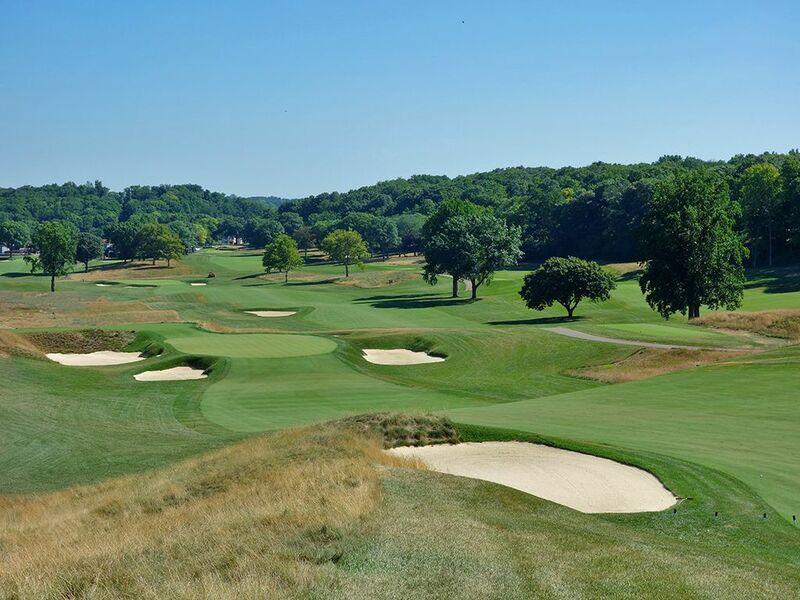 What to Expect: Located next door to the South course at NCR, Moraine Country Club enjoys similar movement in the terrain as its esteemed neighbor which just feels like it was carved out for golf. 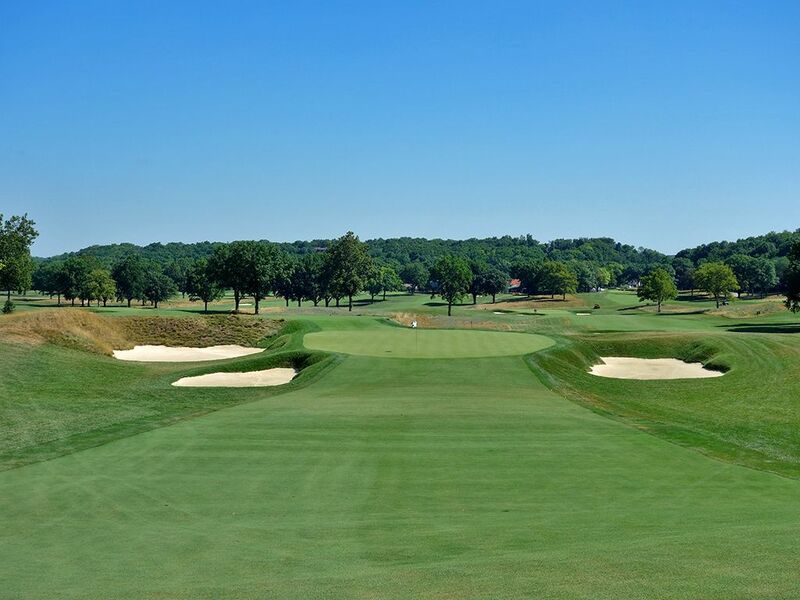 Appropriately named for the moraine that shaped the landscape of the Dayton area, Moraine Country Club flows effortlessly across the land with one good hole after another presenting itself. 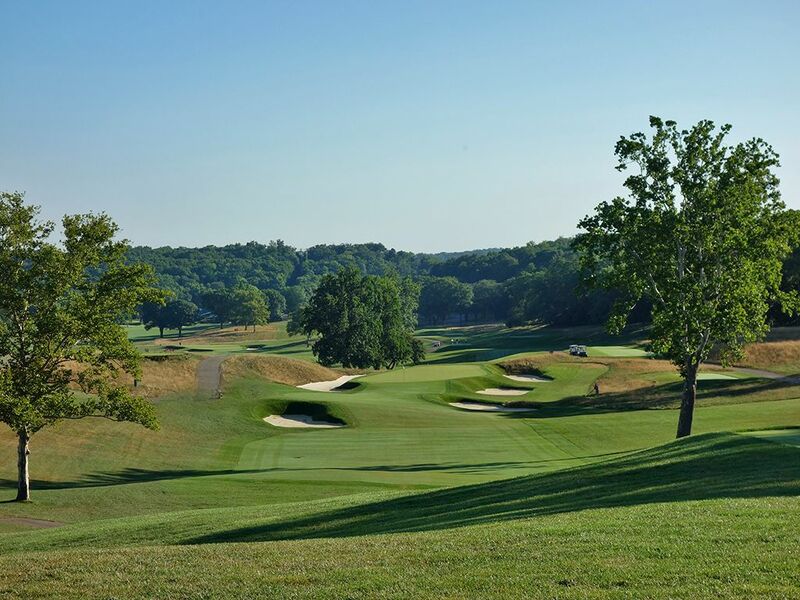 At the end of each hole you will find yourself at one of Moraine’s extremely fast and sloping greens that will test your short game as much as any course you’ll encounter, but if you get your ball started on the correct line you’ll be rewarded with a pure roll to the cup. As part of Keith Foster’s restoration work, the par threes on the back were abandoned and Foster built brand new holes that are both excellent offerings and fit brilliantly into the routing. 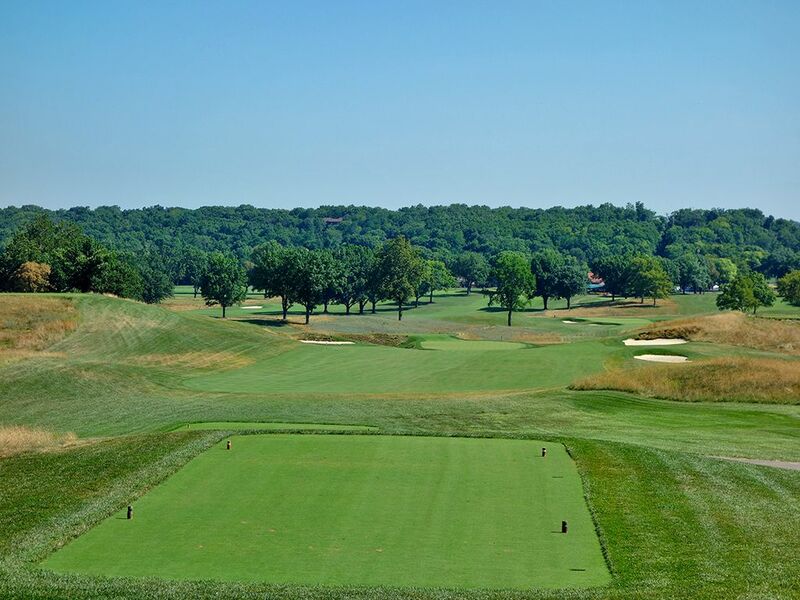 In addition, Foster had approximately 3,000 trees removed which has opened up vistas across the course and invited in additional sunlight which has resulted in healthier turf conditions. 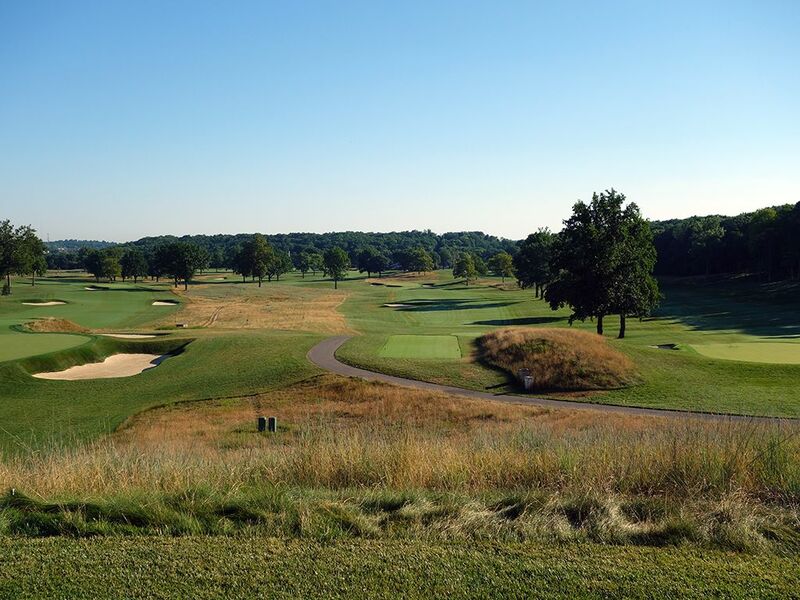 While the opening holes of each nine are yawners, Moraine is loaded with excellent golf holes with 14-18 being one of the best stretches in the state of Ohio. 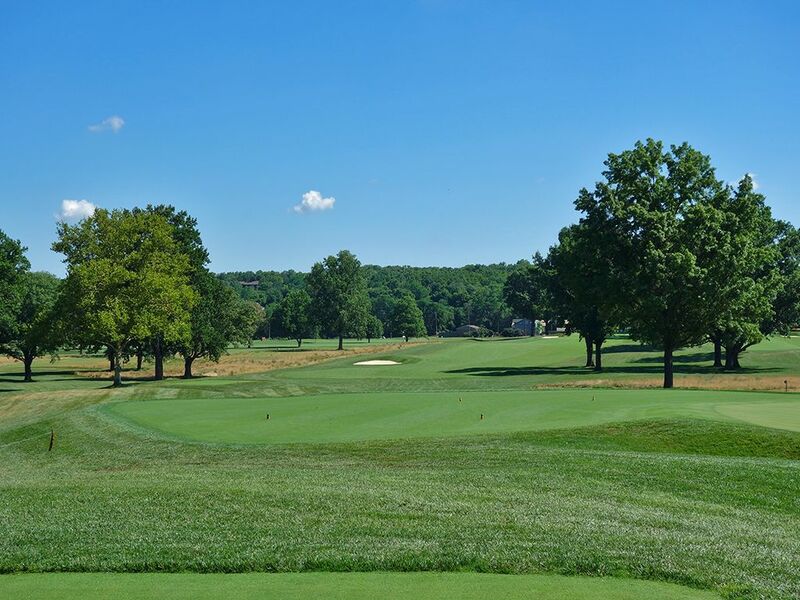 In the end, Moraine Country Club holds its own in one of the best states in the union for golf and shouldn’t be missed if given the opportunity to play it. Signature Hole: 16th Hole – 408 Yard Par 4 – Views across much of the golf course are afforded at the 16th tee thanks in part to the much needed tree removal process that Moraine did during their Keith Foster renovation in 2016. Players are presented a downhill tee shot to a 30 yard wide fairway framed on each side by bunkers. If you can bust a drive 275+ you will catch a steep slope in the fairway and roll out enough to be sitting less than 100 yards into the green and having a great chance to score well. A quartet of bunkers surround the green but the front is wide open if you want to play the ground game and run one onto the raised putting surface. This hole is just fun to play and stands as a climatic moment on the inward nine. Best Par 3: 15th Hole – 171 Yards – Both par threes on the back are actually Keith Foster original designs that were implemented as part of the 2016 renovation, and the 15th is just a flat out beauty. The green sits nicely in the hillside that holds the left edge of the green before the putting surface flows to the right where a pair of bunkers wait to catch wayward tee shots. 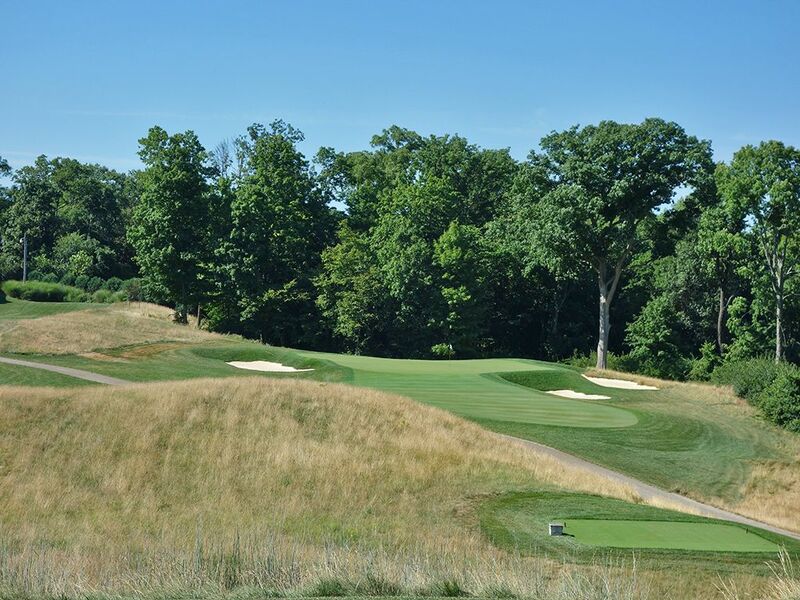 A forest of trees set the background and the golden fescue brings some color contrast to the hole and creates an attractive setting near the southern boundary of the property. The width and variety of tee boxes allows for a different look one day to the next and a bit more strategy when picking your line. It may be a new hole, but it fits in with the classic look of Moraine seamlessly. Best Par 4: 18th Hole – 479 Yards – You didn't expect an easy finish did you? I hope not because Moraine closes out with one final test to see if you can stay on top of your game all round long. Drives under 300 yards will stay short of the fairway bunker on the left before the playing angle turn right and subtly climbs nearly 20 feet enroute to the green. Precision is required on the approach shot as a tree hangs in from the right and a bunker looms left of the green. A large bunker also separates the right side of the 18th green from the left side of the 9th green and is a popular spot to rub shoulders with the foursome two hours behind you. The front of the green is open if you want to run a hybrid shot onto the putting surface and show off your Euro skills and if you chase it through the back you still have a decent chance to save par. This is a great finish in stroke or match play since it essentially plays as a par 4 ½ and will reward the strongest player at the end. 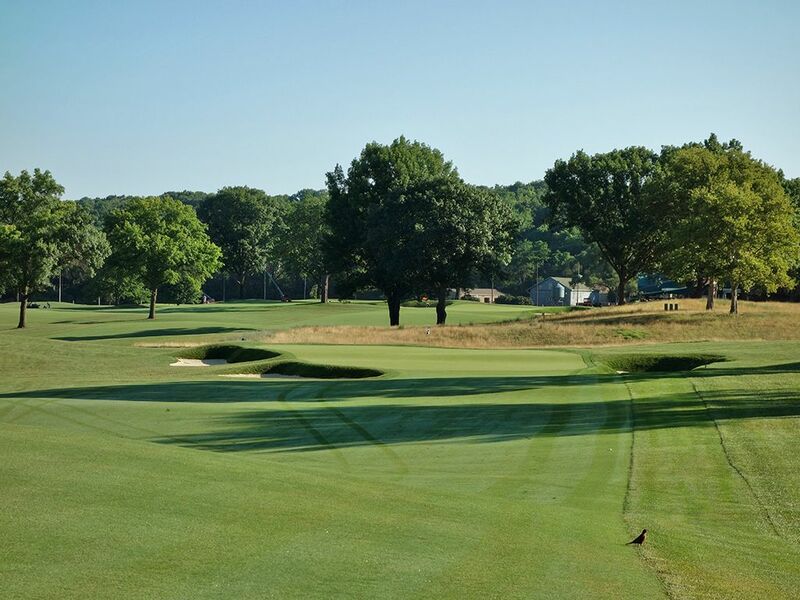 Best Par 5: 8th Hole – 638 Yards – As is often the case, an easy hole is followed up by a challenging one and that is exactly what you get at Moraine. 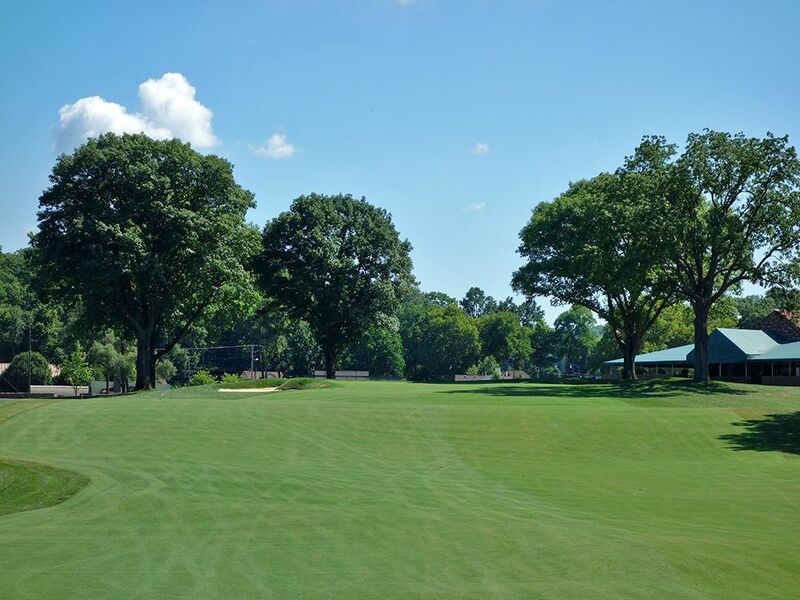 The 8th hole tips out at a whopping 638 yards, nearly 100 yards longer than players teeing up one box shorter. One of just three par fives on the course, the 8th requires a tee ball to travel 325 yards from the back tee to reach the fairway bunker on the left though it plays shorter than that thanks to the 60 foot drop your ball gets to enjoy. After flattening out for a length of time, the fairway dips again shortly before the tiered green that is protected by a trio of deep bunkers with run up shorts being possible coming in from the front right side of the putting surface. There aren't many holes this long in the country so keep your patience and you'll be rewarded for a methodical approach here. Birdie Time: 7th Hole – 326 Yard Par 4 – Excitement quickly ensues as golfers step onto the 7th tee box and take in the views of the surrounding property and gaze down the fairway on their next challenge. The tee ball will drop 50 feet enroute to its ideal landing area which is just beyond the fairway bunker on the left before utilizing the natural terrain to tumble the ball down and to the right onto the putting surface where an eagle putt awaits you. Players laying up will want to hit a 250 yard tee shot beyond the tree on the right side of the fairway and set up a short wedge shot into the green which will be raised when approaching from the lower right side of the hole. With a trio of bunkers on the right side of the green and a full length bunker on the left, accurate approaches are highly rewarded and should yield a great chance to go under par here. 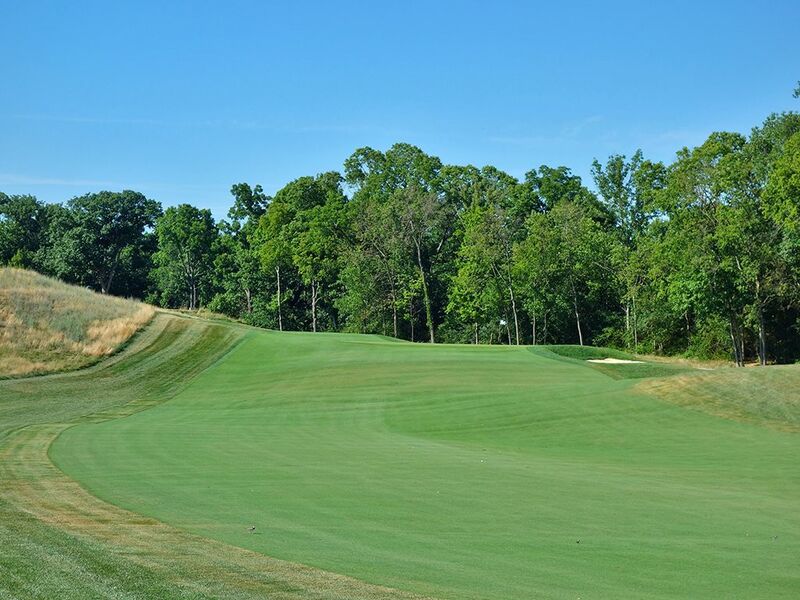 Bogey Beware: 14th Hole – 454 Yard Par 4 – This is where Moraine gets REALLY good. The 14th hole kicks off a finishing stretch of holes that rivals anything in the Ohio and you'll be tested right off the bat. Your tee shot needs to split the two fairway bunkers that flank each side of the driving zone to set up a decent look for your second shot. 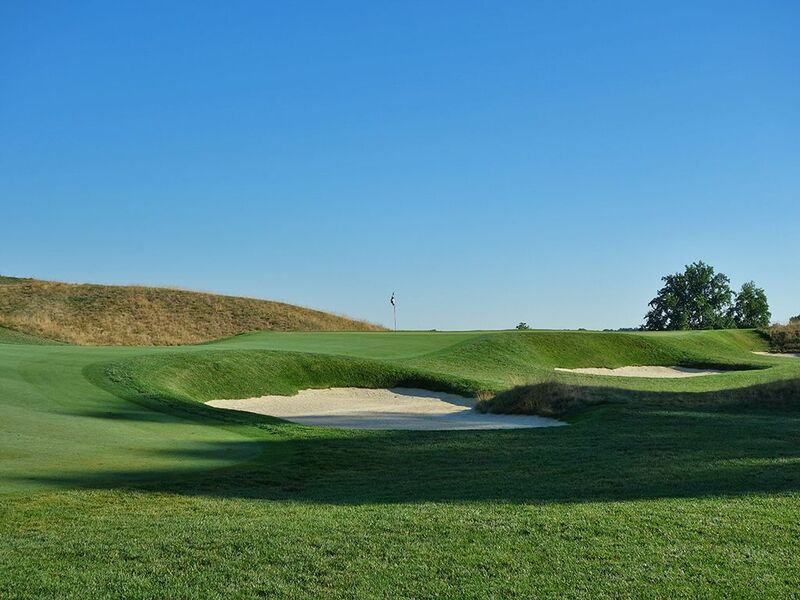 The hole climbs 50 feet from tee to green so you'll need to plan on everything playing longer than advertised which is especially important on the approach shot that plays to a raised green framed by a sloping hill on the left and a bunker on the right. With a false front rejecting any shots coming up weak, this is one tough green to reach in regulation so minimize the damage and move on. 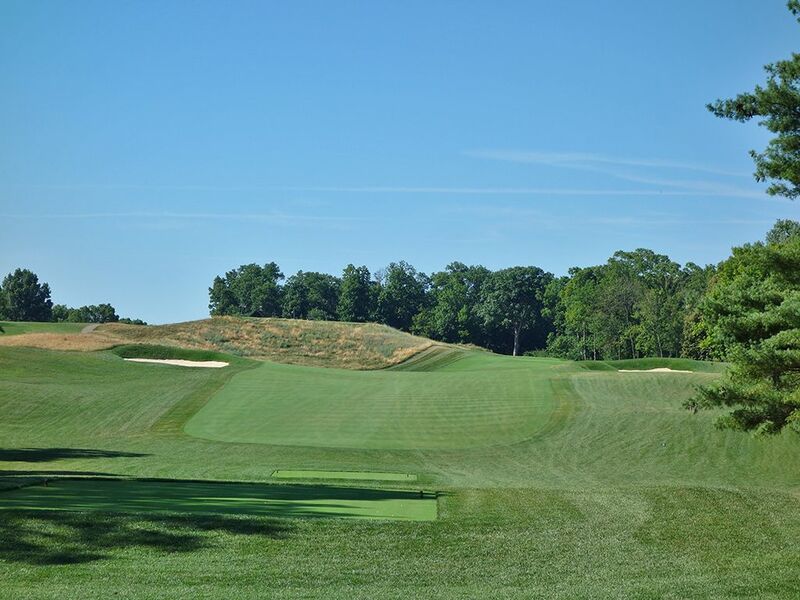 However, you can card a par or better give yourself a pat on the back but that is not only challenging but a lot of fun when you do it on one of the best holes at Moraine.